Good morning, and how are you all today? 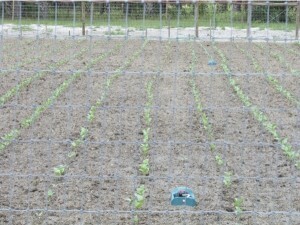 You know we planted the fall garden last Friday, which was a week today. 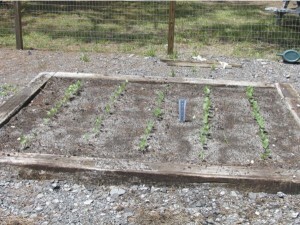 We planted peas and okra. Everything is up and growing good. 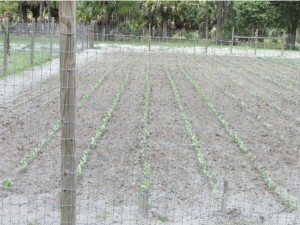 We’re really looking forward to a mess of those peas, and Deb and I both love the okra as well. 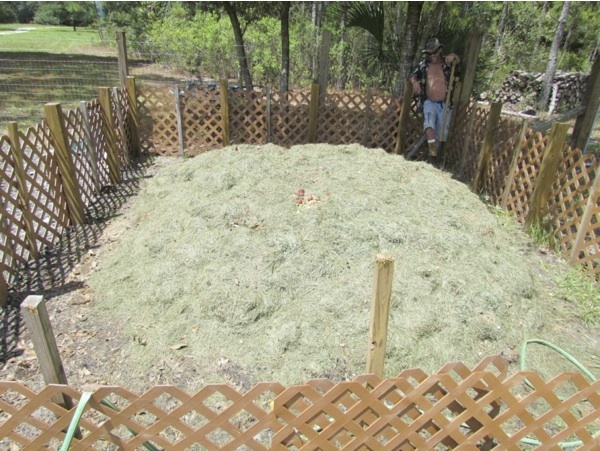 We try to continually amend the soil through applying cow manure, grass clippings, leaves, hay, and the addition of compost we get from our compost heap. All are lightly tilled into the soil, and from the looks of things this is working out to our advantage from a vegetable growing standpoint. 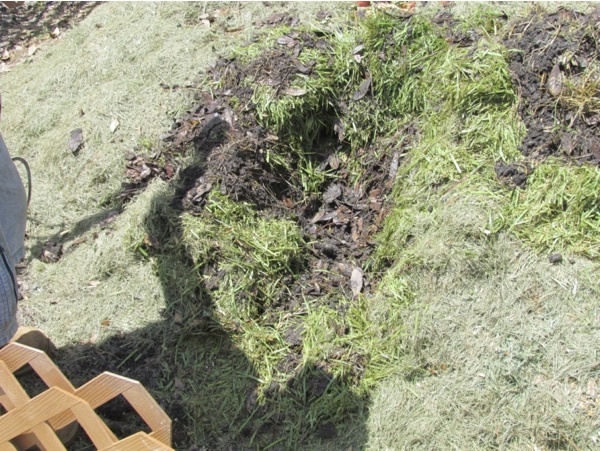 We even in between gardens burn a few brushpiles in it. 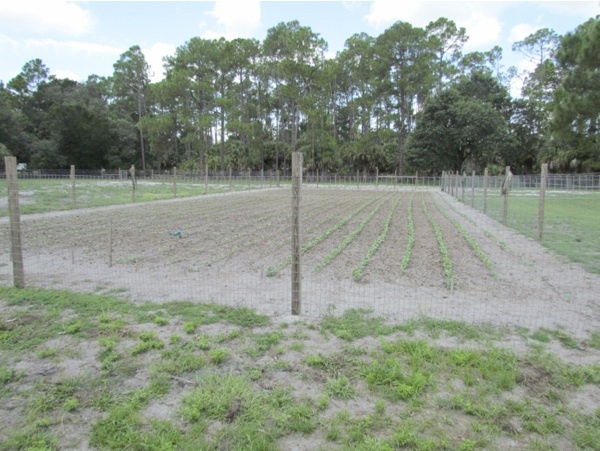 Once we plant and harvest our spring garden here in Central Florida, we just quit with it until right before the full moon in August. The reasoning for this is simple…it just gets too hot. 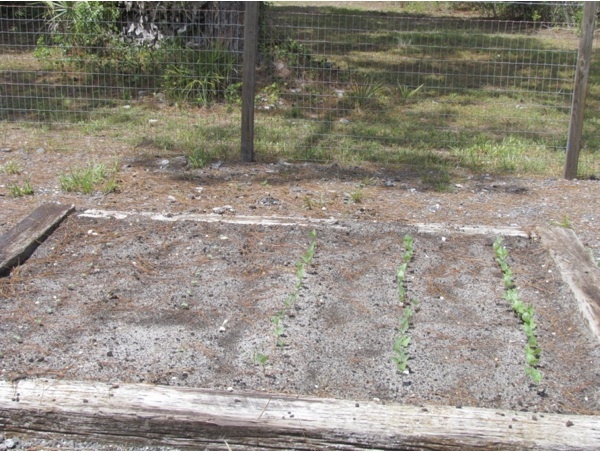 The plants just can’t stand that kind of heat, along with the direct sunlight. 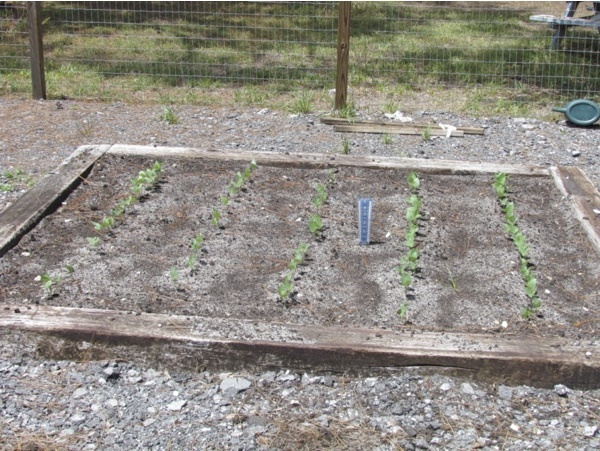 You can plant okra, but not much else. With this being the case, we save it for our fall garden along with our peas. Plus, since Deb was diagnosed with cancer, we were a couple months of doing nothing but trying to keep Doctor’s appointments. 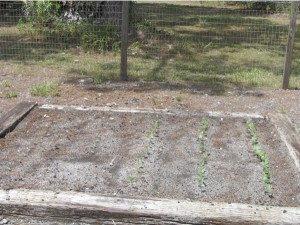 It is a life changer…and honestly we didn’t feel like trying to keep up with a garden, so we waited on the fall garden. On top of this, we found out about Deb’s problem at the end of April, and shortly after that the spring garden came in. Between the care for it, the picking of the vegetables, the shelling of the beans, the canning of the beans, the creaming of the corn and putting it up, this we froze, and then the squash we put up, it worked on us. 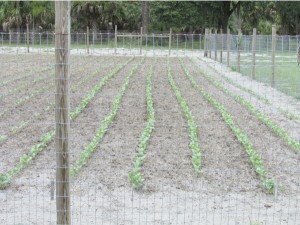 I get up early every morning, and shoot, sometimes we wouldn’t quit shelling beans, or canning until 12 or 1 o’clock in the morning. 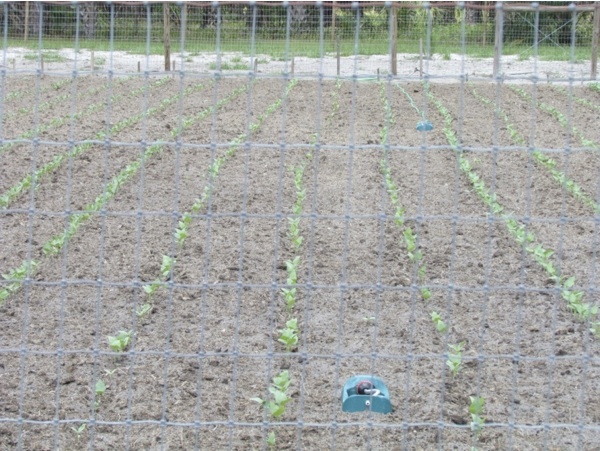 Once the vegetables start coming it, you have to get them put up…or you lose them. We even pickled about ten quarts of squash pickles, they taste just like bread and butter pickles and are very good, then we had to make pickles of the cucumbers we raised as well. With all the trips to the Doctor’s offices, and our business we run, keeping up with the daily chores around our place, and getting all these veggies put up…it wore us out, but, we didn’t want anything going to waste. I’m guessing between just the beans, squash, cucumbers, and tomatoes we probably canned over 200 quarts, actually I know we did. We canned 60 quarts of just ripe tomatoes, and another 20 or so of green tomatoes. It is work, but boy, through the months there are no fresh vegetables, it sure is nice going out to the canned food storage room, and bring in a few quarts of different vegetables to use. They taste just as fresh as the day you canned them. As I said earlier it is work, but boy we sure enjoy doing it. It brings Deb and I both such fulfillment of watching our vegetables grow, and once they start coming in, you just can’t get that fresh, homegrown taste from store bought fruits and vegetables…it ain’t there. Hopefully, by the time for our spring garden next year, we’ll have Deb back in tip-top shape, and that’s our plan…good health by spring! That’s our goal we’re shooting for, so please, keep her in your prayers for a little longer. She draws confidence from you guys, and thanks for all you’ve done so far…it is appreciated. Actually, God Bless you all. But, she’s doing absolutely great as we speak! Now back to our gardening, once again we love doing it. But, our MAIN reason for doing it now, or the last 2-3 years is pretty simple…the economy! 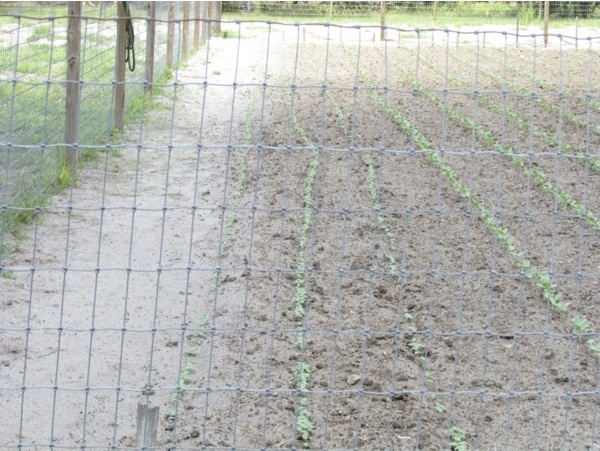 This is why we started our gardening full tilt again, and a little piece of advice for the ones who believe our economy is fine…you may want to reevaluate your thinking some. We cannot continue to print money, borrow money, and spend what our government spends. This is a dead-end street, and we’re fast approaching the end of the street. My personal opinion and that is all it is, my opinion, is that we’re going to see some really tough times in our Country. I believe the time is fast approaching that Deb and I both will be very, very glad we’ve put up, food wise, what we’ve put up. If from no other reason than simply the cost of food continuing to go up…and up…and up! I do not have a crystal ball, so I can’t tell you these things will come to pass, but I’m a firm believer in the old statement, which is simply being prepared. Prepared for the worst, but hoping for the best. We may not see times get this bad, but if this does take a turn for the worst…we’ll have food on the table for our family and friends. The worst case scenario we have is if they, the bad times don’t come around…we’ll eat our food we had canned, that’s it. Nothing will have gone to waste. It will all be used regardless, good times, or bad times. Food today, in these times, is like a gun. You may never need it, BUT, if the occasion arises you do need it…you’ll need it BAD! This is our philosophy, and one we take very seriously. Food today is simply…an investment, and one of the better investments out there today. So in essence, Deb and I have tried to create an environment where we are as self-sufficient as we can possibly be. Being in the construction business here in Florida, was literally an eye-opener for us, during the housing crash. Contrary to many American’s belief today, we came to the conclusion very quickly that if we don’t work…we don’t eat! We don’t want our governments help, don’t need our governments help, and we’re quite capable of running our own lives, thank you! How could it possibly be your problem if Deb and I decide we just don’t want to go to work anymore? Here’s an eye-opener to many…it ain’t! That would be Deb and my problem not yours, huh? But today, our elected leaders consider this your right. This is one of the main problems we have in our Country today. What’s yours is just as much mine too! How can this possibly be? It is wrong, it is stealing, and it ruins people…by destroying any work ethic, any respect for themselves or others, and any soul they might have had. Deb and I put in two hand pumps, one on a shallow well for casual use, the other on our deep well, for drinking water use. We lose power, no sweat we still have water from two different sources. Our ponds would supply us a place to bathe, if need be. We’ve put up quite a few hand tools that don’t need a power source either. We put up lumber, nails, fence staples, fencing, and fence posts. We have stored grease and oil, and fuel, gas and diesel. We’ve put up medicines, toothpaste, toilet paper, paper towels, almost anything you use in daily life. This was all done on account of the housing crash, and the downturn in our economy. Folks, it doesn’t look as if our current administration has slowed down one bit in their borrowing and spending, and this to me from the standpoint of a small businessman, is very concerning. You don’t spend your way out of debt as our President proclaims…it don’t happen. You spend yourself into bankruptcy, not prosperity! Didn’t our Country’s credit rating just get lowered? Yes it did! I guess the S&P isn’t putting a whole lot of faith in our spending our way out of debt either. So once again you guys do whatever blows your own dress up. This is simply a, to each his own decision, in regards to you and your family. Me, I’m going to err on the side of caution, because just like a gun, if we as a family do indeed end up needing the things I’ve described above…we’ll be needing them badly! You guys think about what’s been said and make up your own minds. We hope this may have gotten you to think as well, that erring on the side of caution, is actually a good thing! We wish all of you good health and the best in all you do. Have a great day and God Bless you and yours. As always, Deb says to tell you to keep a smile on your face, and one in your heart! 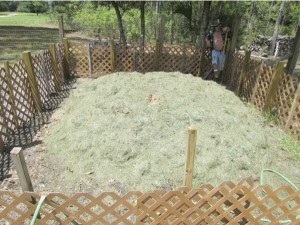 Dale at the compost pile. Look at him just a smiling…he can’t wait to start stirring that compost!! Kinda an open look into the pile. There is a lot of other material in it. 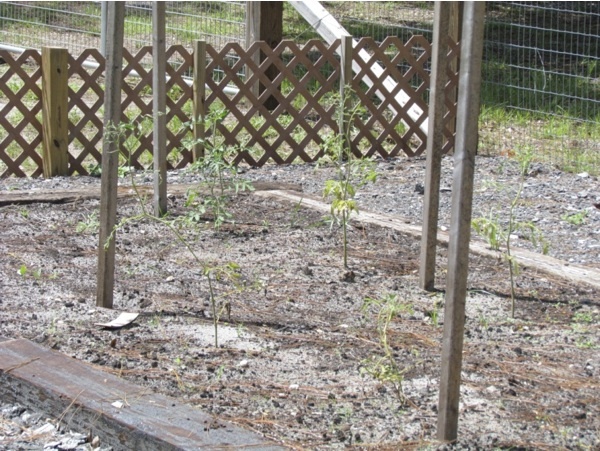 Some of our poor ole tomatoes. The heat and sun are working on them. Will replant more next month. 7 rows of black-eyes. 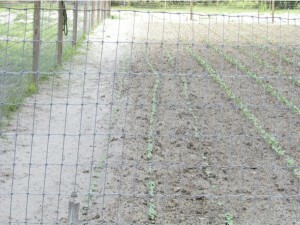 All rows in this garden are 100’ long. This was planted a week ago today. 4 rows of purple hulls. 5 rows of cream 40’s. 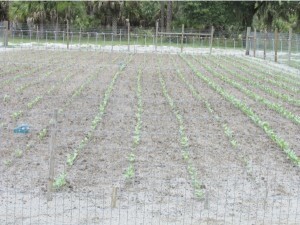 And finally, 3 rows of Clemson spineless okra. This entry was posted in Home Gardens. Bookmark the permalink. 1 clove garlic per pt. 1 hot pepper per pt. 1 tsp. dill seed per pt. Place garlic and hot pepper in bottom of jar. Remove part stem from okra. water to a boil. Pour hot over okra in jar. Makes 6 pints. Stuff okra into clean jars which garlic, sugar and pepper have been placed. let sit to cool and seal. Ready to eat in about 2 weeks.